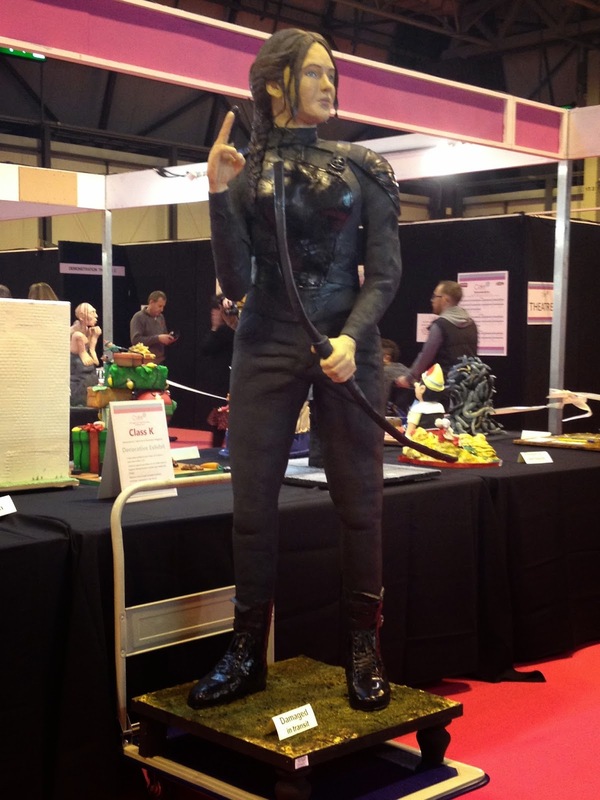 Cake International this weekend was something of a star studded show. 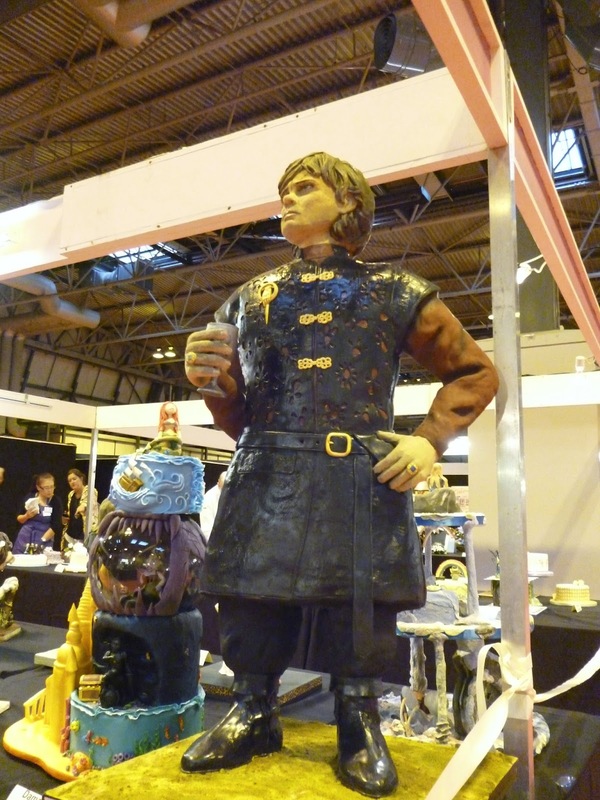 Mitch Turner, Ed Kimble, Kat Dresser… oh and then there was Tyrion Lannister from Game of Thrones and Katniss Everdeen from Hunger Games all made from cake! This years show was bigger and better than previous years, more retail exhibitors means less people around each stall so you can really have a browse. More demonstration theatres and the opportunity to get hands on with chocolate and sugar paste. Renshaw were giving visitors the chance to make a poppy to create a wreath for Remembrance Day, I lovely idea and I joined in. 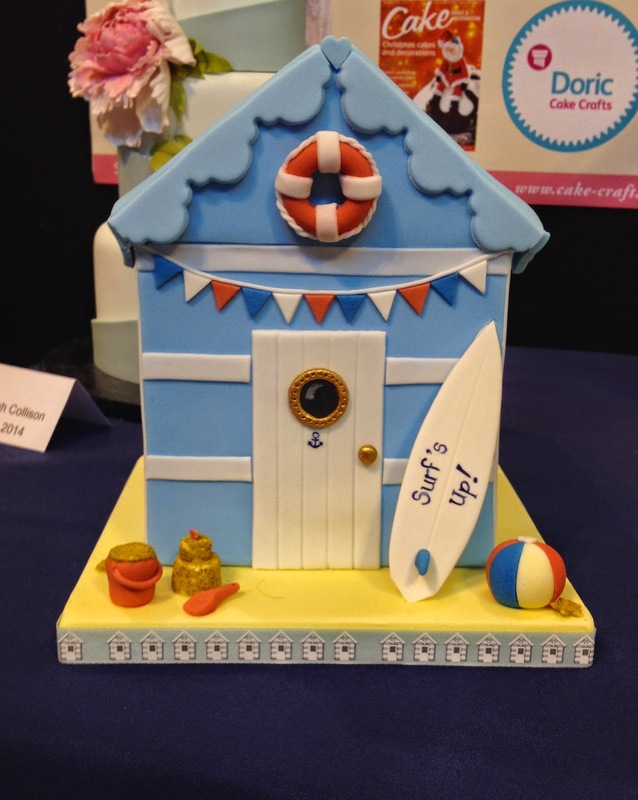 There were a huge number of cake entries this year, I did not envy the judges of the wedding cake and cupcakes categories, the large number and high calibre of cakes would of made for a difficult task. It is difficult to appreciate from a photograph the detail and scale of some of the cakes - they are huge. 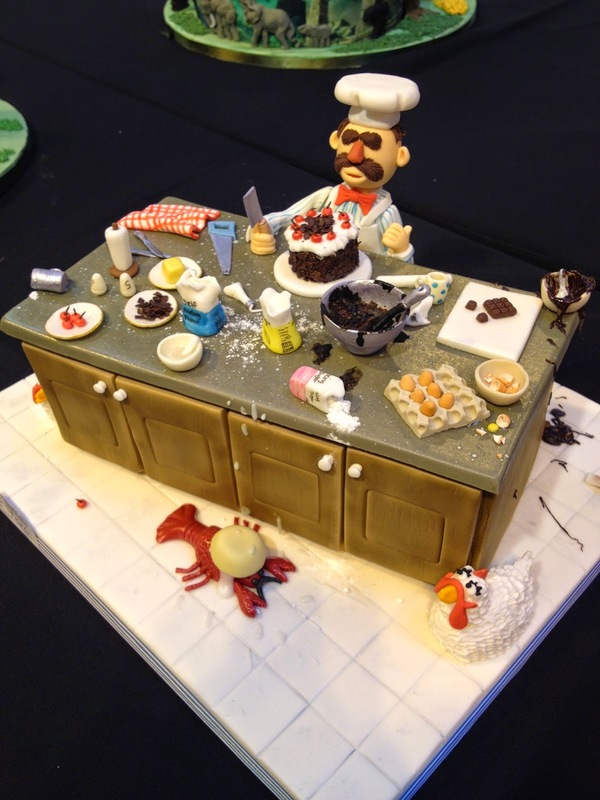 The weeks of time and patience the contestants put in to each entry - phenomenal. I went with no shopping list this year, with the exception of a chocolate thermometer, which I did not get. 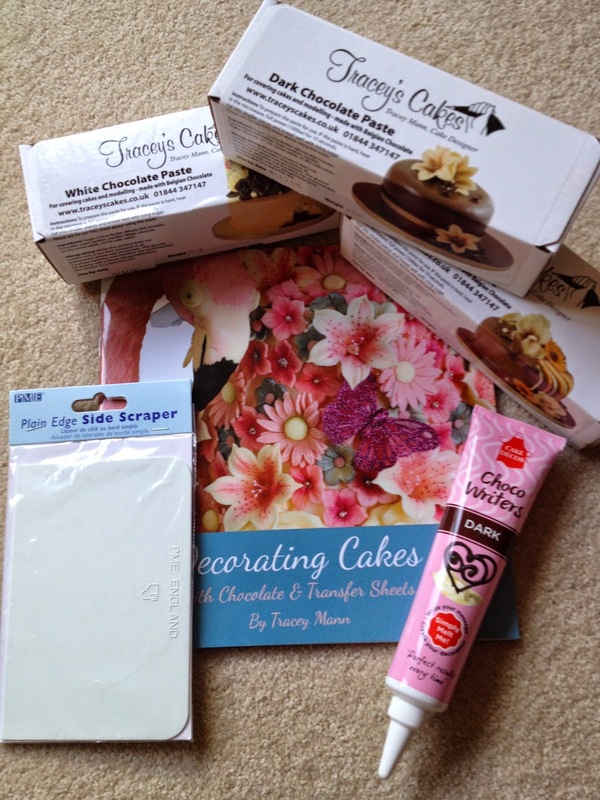 I was on the lookout for something different, not the usual cutters, sprinkles or sugar paste. I found it too. 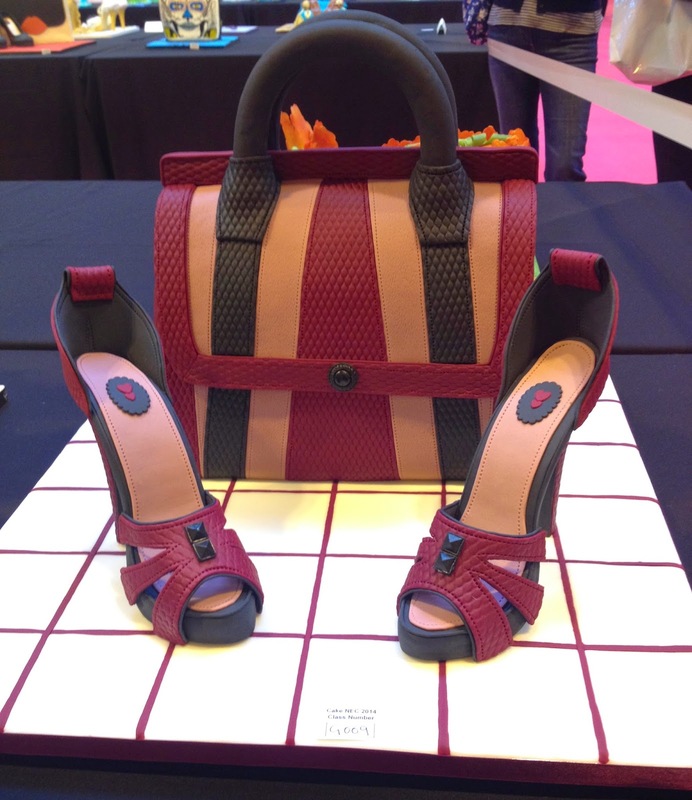 Following an interesting demonstration at the Chocolate Theatre by Tracey Mann on how to decorate using chocolate paste. So off I popped to Tracey's stand and purchased myself some. Flavoured icing sugar seem very popular at this years show, which really appealed though it was difficult settling of flavours as there was a huge choice. 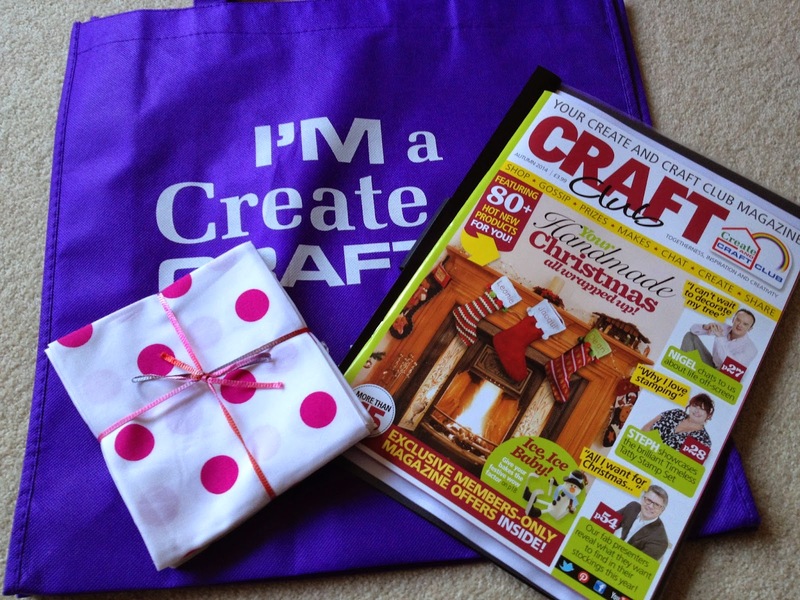 I also popped into the Hobby Crafts Show and you guessed it, I got tempted to buy some fat squares of polka dot fabric. I also bought something else for less than £3 and rather sweet and practical. However I can not share it with you just yet as it is a Christmas present for my cousin. Disclaimer : I was given free tickets to this event. 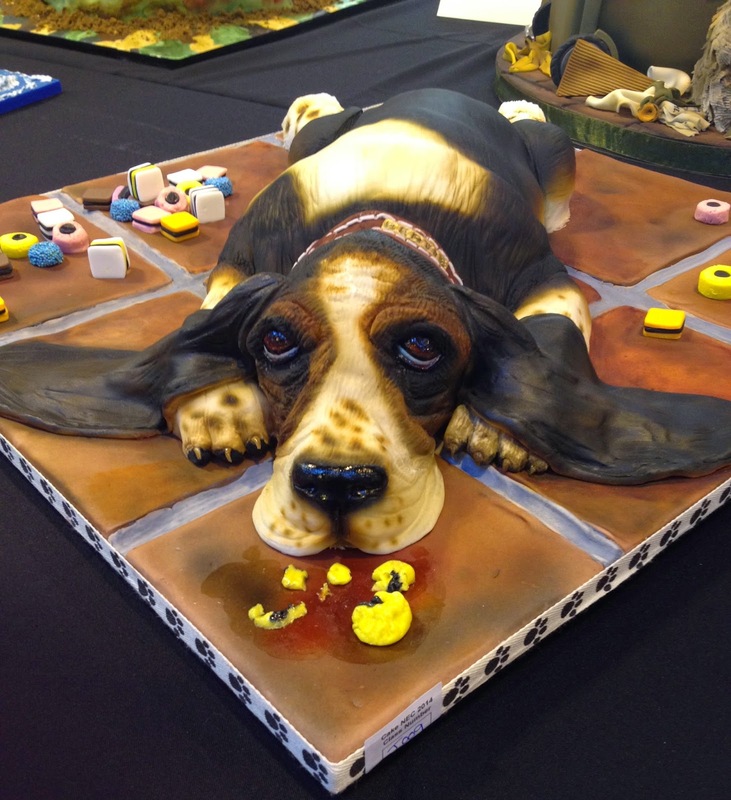 Wow, I have always seen a high quality of cake as my mum has a City and Guilds award for her catering skills, But this is just a whole lot of wow Espescially the fantasy stuff, I would love to see what you make with those kits you have collected, Sugar craft is an amazing talent and not one that many pursue. Wow! These are fantastic! Do they ever get eaten?